Born: 4 January 1868, Dalton-in-Furness, Lancashire, United Kingdom. Died: 21 October 1952, Eshowe, KwaZulu-Natal, South Africa. James G. Lawn, mining engineer, educationist and company director, was the son of John Webster Lawn, a mine manager, and his wife Eleanor. 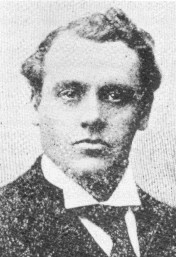 After completing his schooling he worked under his father in the iron ore mines of northern England for six years before entering the Royal School of Mines, London, in 1888. Here he distinguished himself by winning the Tyndall Prize for physics and a Royal scholarship (1889), the Murchison prize for geology (1890), the Mining prize of the Department of Science and Art, and the Dela Beche mining medal (1891). Upon completing his studies he became a mine surveyor at the mines of the Barrow Hematite Steel Company in Barrow-in-Furness, Lancashire, in 1891. The next year he was appointed lecturer in mining by the Cumberland county council, and in 1893 became lecturer in mine surveying at the Royal School of Mines. He was an associate member of the Institution of Civil Engineers, and a Fellow of the Geological Society of London. In May 1896 Lawn came to South Africa as the country's first professor of mining, to establish the Kimberley branch of the South African School of Mines. It opened in August that year, supervised by a local committee under Gardner F. Williams*, general manager of De Beers. At the age of 28 Lawn became its principal and sole teacher until John Orr* arrived the next year. The institution provided theoretical and practical training to students who had passed the two year mining course at the South African College's School of Mines in Cape Town. After a year's training students proceeded to Johannesburg for their fourth and final year before graduating with a diploma in mining engineering. In July 1897 Lawn took his first five students to Johannesburg, where he was elected an honorary member of the South African Association of Engineers and Architects. In January the next year he addressed a special general meeting of the association in Johannesburg on "A South African School of Mines", explaining the functioning of the institution and requesting support for the training programme in Johannesburg, which had not yet been developed. His address aroused much interest and was published in the association's Proceedings (Vol. 4, pp. 112-134). Training at the Kimberley School of Mines was suspended late in 1899 owing to the outbreak of the Anglo-Boer War (1899-1902), and after the war, in 1903, the training was transferred to the Transvaal Technical Institute in Johannesburg. Lawn resigned from his post in 1902 to join the Johannesburg Consolidated Investment Company (JCI) as an assistant consulting engineer from the beginning of 1903 to the end of 1906. He returned to Britain in 1907 when he was appointed head of the Mining Department at the Camborne School of Mines in Cornwall, but came back to South Africa in July 1909 as principal and professor of mining at the Johannesburg branch of the Transvaal University College. This institution became the South African School of Mines and Technology in 1910, and later developed into the University of the Witwatersrand. Meanwhile Lawn resigned his post in August 1910 to rejoin JCI as consulting engineer. In 1913 he was a member of the Miners' Phthysis Prevention Committee and wrote its Interim report... (Cape Town, 1913). During World War I (1914-1918), in May 1915, he was released from his duties for service in the explosives department of the British Ministry of Munitions, for which he was honoured as a Commander of the Order of the British Empire (OBE) in 1920. Returning to JCI towards the end of 1919 he became its consulting engineer and joint managing director. From July 1924 to his retirement in February 1947 he represented the company in England as a director and consulting engineer, residing in Shamley Green, Surrey. He then returned to South Africa and settled at Eshowe, KwaZulu-Natal, where he took up plant collecting. Some 2000 specimens collected by him went to the Natal Herbarium. Lawn played an active role in scientific and educational matters during his career. Shortly after his first arrival in South Africa he published Mine accounts and mining book-keeping (London, 1897), a manual for students and mine managers. The seventh edition of this useful work appeared in 1911. He was an examiner in chemical technology, metallurgy, engineering, mine descriptions and economics of mining for the mining examinations of the University of the Cape of Good Hope at various times during 1897-1906, and served on the university's council from 1897 to 1903. From 1900 to 1907 he was a member of the South African Philosophical Society. In 1902 he became a foundation member of the South African Association for the Advancement of Science and served on its council from 1902 to 1905. In 1903 he became a member of the Geological Society of South Africa, serving as its president in 1923. From 1911 to 1949 he was a member of the Witwatersrand Council of Education. In 1912 he represented the mining industry on South Africa's first National Advisory Council on Technical Education. When the University of the Witwatersrand was established in 1922 he served on its first council, and in 1933 the university awarded him an honorary Doctor of Science degree in Engineering for his contributions to mining and mining education. He was president of the (British) Institution of Mining and Metallurgy in 1930-1931, and an associate of the Royal School of Mines. Anhaeusser, C.R. (ed.) A century of geological endeavour in southern Africa (pp. 16, 127, 312). Johannesburg: Geological Society of South Africa, 1999. Geological Society of South Africa. Transactions (amd Proceedings), 1906, Vol. 10; 1915, Vol 18; and 1920, Vol 23: Lists of members. McCarthy, T.S. Born of necessity: The story of the Department of Geology, University of the Witwatersrand, 1904-1994. Johannesburg: University of the Witwatersrand, 1994. Murray, B.K. Wits, the early years: A history of the University of the Witwatersrand, Johannesburg, and its precursors, 1896-1939. Johannesburg: Witwatersrand University Press, 1982. South African who's who, 1925/6, 1939, 1952. University of the Cape of Good Hope. Calendar, 1897/8-1906/7. Who was who, Vol. 5, 2nd ed. London: Adam & Black, 1964.